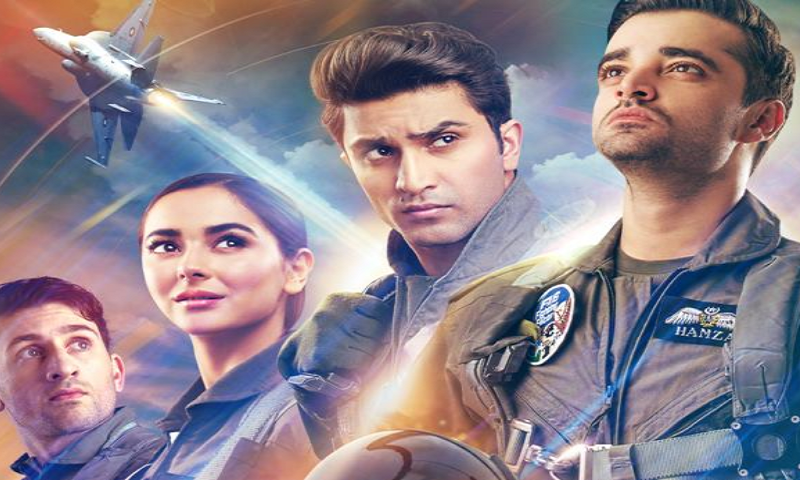 Parwaaz Hai Junoon review: Passionate yet predictable! War films selling emotions and patriotism have well set ingredients. Start with dehumanization of the ‘enemy’. Add emotional angles, to your side with the help of young girl(s) playing love interest, aging but super proud parents and friends that constantly remind us how brave these individual(s) are. You could do that with one hero or a few different characters. Mix it with some dialogues based on bravado & patriotism. Sprinkle some banters between these men. And lastly, serve it with some exotic shots of mass killing machines. 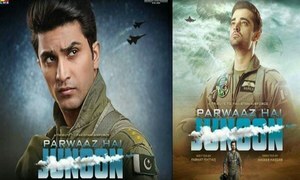 Parwaaz Hai Junoon has all of it. 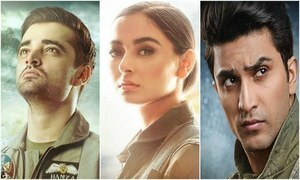 Parwaaz Hai Junoon Trailer Is Impressive! 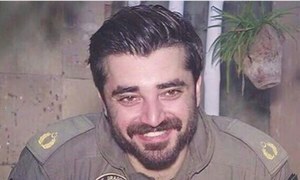 It has Hamza Ali Abbasi, playing Hamza. He is at ease raising slogans and delivering boastful dialogues, which include ye dharti meray maa bap hai, APS k bachon ka badla ley lia, unka bap hon mai. Hania Aamir is very good as his love interest. Much like our plays, there is Saad (Ahad Raza Mir), on whom the writer chips away throughout the film. There is Zaid (Shafaat Ali), intentionally placed to be used as a banter generator. The planes also do amazing tricks. 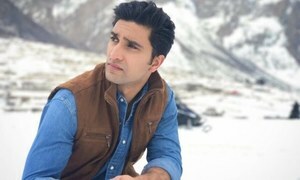 Parwaaz Hai Junoon has emotion, gorgeous locations, passion, fury and more. What the film doesn’t have is a water tight script. Two narratives are running parallel. From the past we get to hear the story of Hamza and Nadir (Shaz Khan), two jet plane pilots, who talk in Air Force metaphors almost all the time. 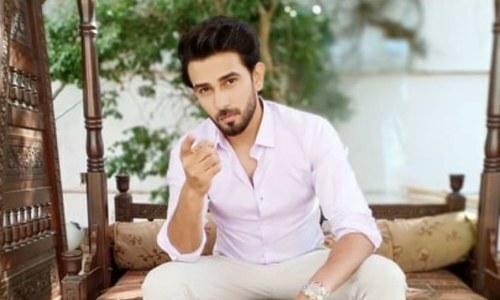 Shaz is getting married to Fiza (Kubra Khan). At the wedding Hamza is smitten by Sania (Hania Amir). Their love story starts; but runs into conflicts and fears. Asif Raza Mir, also plays a significant albeit baffling role. Whereas, in the present, we see the lives of young cadets, with Sania and Saad (Ahad Raza Mir). There are obnoxious seniors, physical challenges, and emotional drama. The two narratives converge, and we reach an expected outcome. W/o giving spoilers, let me say this; a central conflict about Hamza is flawed. It’s based on another character's complete disregard for reality. 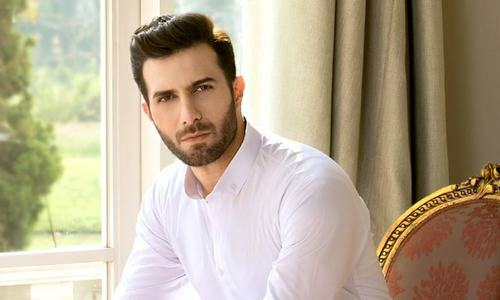 Saad (Ahad Raza Mir) is playing this snobbish, anti-women character, we usually see in Farhat Ishtiaq’s plays. In one scene, he gives flight advice to Sania by saying panic nahi karo, relax kro. His character would be disjointed. That is all I can say w/o spoiling the film for you. The film also tries to pass simply obnoxious behavior by seniors and idea of collective punishment as a joke. It felt like Raj Kumar Hirani’s effort to conceal Sanju’s antics with comedy. We also get to see this battle in the air, where Hamza and Nadir down an enemy plane. We were never told who the enemy was. Did Kharjis (only clear name given to the enemy in the film) have fighter jets? There are scenes which can get you teary. Especially the ones involving Hania Aamir. She is playing this vibrant young girl and then a struggling cadet. In both roles she excels. You feel for her, as she tests her limits both an emotional and physical level. 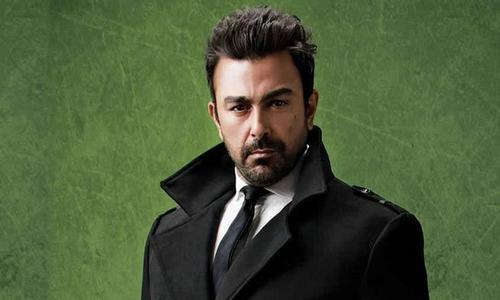 Hamza Ali Abbasi is basically playing himself. Saving the country, taking revenge for APS kids by dropping bombs from the sky. Ahad Ali Mir, doesn’t have much to play with considering the character he was given. He clearly struggles with it. Shafaat Ali could have been replaced by a comically designed cardboard and it would have served the same purpose. We also get the obedient wife (mother of Hamza, Hina Bayat) who says lines like maine kabhi apke bat ko ghalat nahe kaha liken … aj! The stunts using those PAF air planes are brilliant to look at, if that is your thing. The CGI work is also impressive. The cinematographer also does a fantastic job in showcasing the beauty of northern area of Pakistan. Music unites to make the movie emotional for the audience. The way the writer has used the qawalli, it’s designed to make the audience cry. Mohsin Allah Ditta’s background score deserves a mention because it aids to the whole lets cry campaign. It’s sad how the words like courage and valour have been associated with just death and war. But that is how such films are made. You can’t expect the nuances of a Dunkirk or the gravitas of a Saving Private Ryan. Having said that the film maker has his heart in the right place. The sacrifices of the army in the war against terrorism are immeasurable and should be deeply appreciated. But this film is neither a war film nor a romantic love story. It’s a mixture of the two. Tying these two varied ideas, was a bit of a challenge for the Haseeb Hassan, the director. Also, a 14th August release would have better suited this film, or even 6th September would have worked better. Pakistani blockbusters stage a comeback! Parwaaz Hai Junoon's 'Main Urra' is a song for the true Pakistani! Questions are being raised about Parwaaz Hai Junoon’s promotional strategy!